Whether it be a floor upgrade, a new backsplash, or a new shower, tile can dramatically improve the function and appearance of your home. Tile has many benefits over other materials. Since tile is waterproof, it is a great material for bathrooms and basements. It is also very durable, so tile is often used in high-traffic areas like kitchens and hallways. From a design standpoint, tile provides limitless color, texture and pattern options. Tile can be installed and ready to use in just a couple of days, so your home will have an updated look quickly. In our northern New Jersey homes, tile is most commonly used in the bathroom. It is featured in the shower, the floor, and sometimes on the walls. Lately, we have been replacing tubs with fully-tiled walk-in showers. Another popular tile project is simply replacing the current bathroom tile with an updated look. Removing dated or dirty tile is a fast way to transform a bathroom. For high-traffic areas, porcelain or ceramic tile is most often used. These materials are durable and come in a wide variety of looks to coordinate with any color or style preference. A very popular tile flooring option is porcelain wood look planks. These porcelain tiles are great for the kitchen and mud rooms since they are water-tight and clean up easily. Tile backsplashes are another popular tile project. We do these as part of a full kitchen remodel, or as stand-alone projects. Tile is the most popular material to use for a backsplash because it can handle water and grease from cooking. Backsplash tile can be simple and neutral or be used to add color or visual interest to the kitchen. Selecting tile for a project can be overwhelming. There are so many different options it can be difficult to make a decision. The Designers in our showrooms are always available to help guide you to select the best material and coordinate colors. Here are some popular trends we are seeing at the moment. Currently, marble and marble-look tile are extremely popular. White and grey tones are in style, so marble easily lends itself to this design trend. A basketweave mosaic tile in the shower floor is fashionable. Sometimes the basketweave is carried over to the bathroom floor, as well. When it isn’t, it is often replaced with porcelain tile that looks like wood. Subway tile is still on-trend for the shower walls, paired with mosaic tile used in niches and for accent. Whatever your tiling project – floors, pool houses, backsplashes, showers, and much more – the experts at Monk’s are here to help. 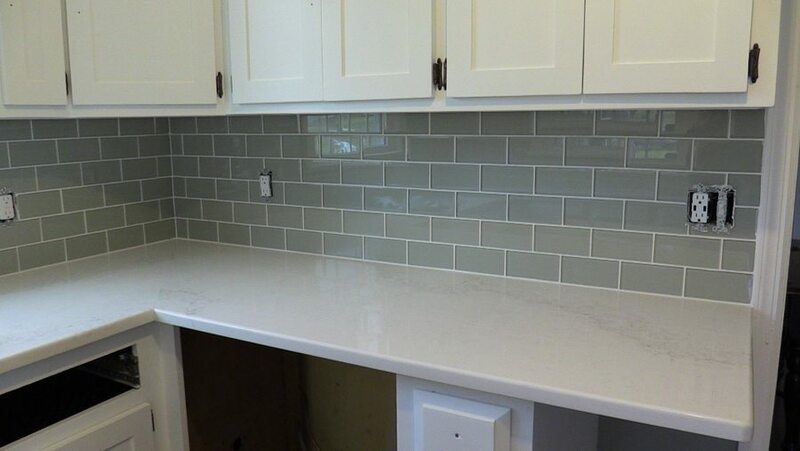 The before and after photos below are from a kitchen backsplash project we completed in Basking Ridge, New Jersey. 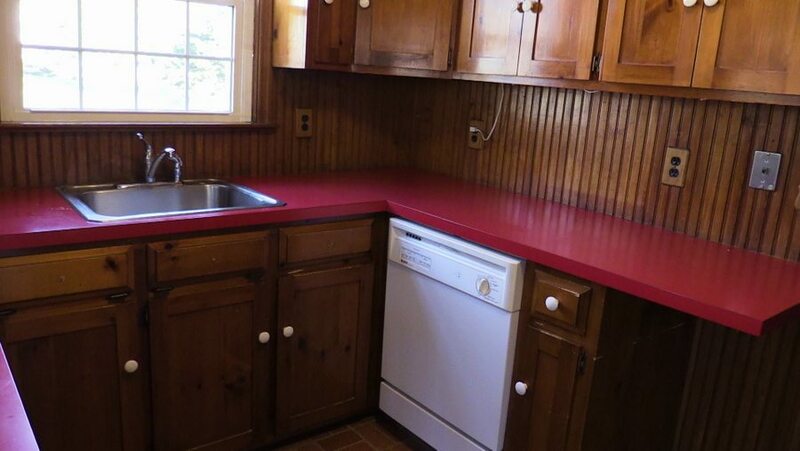 We also painted the cabinets and replaced the countertops with quartz. After tile backsplash and quartz countertop installation. Call Monk’s today at 973-635-7900 to schedule your free estimate.